The world must act to spread the benefits of globalization more fairly while avoiding the perils of protectionism, the United Nations chief said on Tuesday. No country is “immune” from the scourge of modern slavery and the path that many of its victims take “can often by very similar”. When people are less equal, there’s more likelihood of social and political unrest; that’s the view of Harvard University Professor and Nobel Laureate, Eric Maskin. More must be done to shrink the gap between developed and developing nations, countries of Latin America and the Caribbean told the General Assembly’s annual high-level debate. Nearly 180 business schools from around the world have now signed up to a United Nations-backed initiative aimed at steering tomorrow’s captains of commerce into conducting more ethical and inclusive business practices. 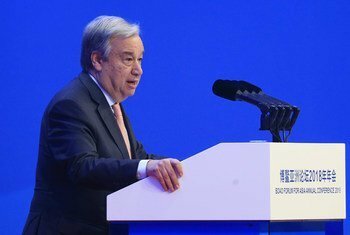 To reap the benefits of globalization, countries of the global South must cooperate to achieve development goals and fully integrate into the global economy, the President of the United Nations General Assembly said today. Much of the world has seen “a significant and disturbing increase of inequality” in the last two decades, contradicting predictions that globalization and liberalization would foster more equal opportunities, a senior United Nations economist said today. Warning of growing inequalities both within and between countries at a time of widespread economic growth, a senior United Nations official today said the process of globalization must be made more inclusive in order to benefit the world’s poor. Marking United Nations Day for South-South Cooperation, Secretary-General Kofi Annan today called on developing countries to work together more to tackle some of their greatest common threats and challenges, from extreme poverty to HIV/AIDS. 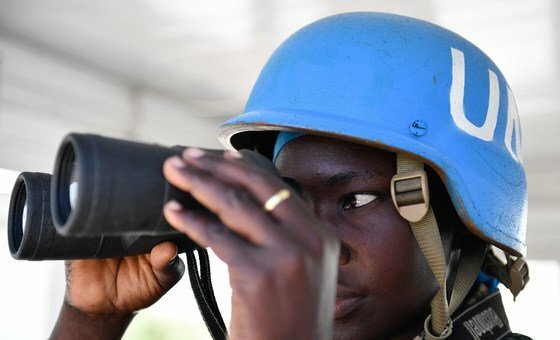 The Governing Body of the United Nations labour agency has ended its latest session with a call for an inclusive and equitable globalization ensuring decent work, condemnation of Myanmar’s actions with regard to forced labour and concern over the situation in Nepal, Guatemala, Venezuela and Zimbabwe.